Typical old school Youngs back street boozer, good beer & friendly atmosphere. George the Parrot is very chatty! With a bookmakers opposite, much of the trade is shared between the two establishments. Jukebox can at times be a bit loud, as can be the local Chelsea fans, but that's a risk with any pub in Sutton. What was once a very good youngs pub is now a very poor shadow of its former self.Lack of customers,its doomed. Youngs pub with a lovely tiled frontage and what seemed like a loyal, local clientele. This was my third Youngs pub of the day and far better than the first 2 which had both been subjected to makeovers. 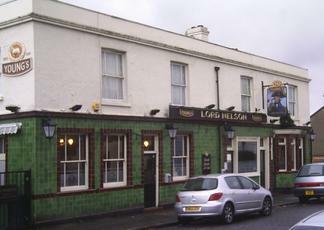 This was an unspoiled boozer in the backstreets of Sutton and all the better for it. The Special and the Ordinary were the only ales, whilst the parrot in the corner had plenty to say for itself! Was in here today good pint of Youngs, service very good, could do with a few more customers. NICE EVENING HERE LAST NIGHT. TOP MARKS GREAT PINT OF YOUNGS.